Ninety percent of match-fixing in football is easy to prevent. One of the keys to a successfully fighting corruption is to recognize ‘choke point games’. These are games – 3rd match in opening round of the World Cup, 6th match in Group Stage of Champions League or any Italian game featuring a team in danger of relegation from April onwards – where one team has a lot to gain, while the other has very little. This week’s home-away games of the ‘play-off round’ of the Champions League is such a choke point. 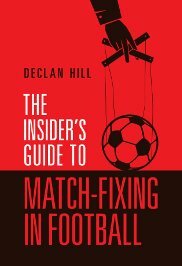 Historically, there have been a number of examples of match-fixing at this stage in the Champions League. The match-fixing Sapina brothers were able to get teams to lose and UEFA looked long and hard at the Latvian team in 2013. The economics of ‘choke point’ fixing are simple. There is no effective financial deterrent for a team in losing the game. In this case, the losing team goes on to play in the Europa League. Therefore the strategy is simple, if you are not a rich team with the resources to compete successfully in the Champions League you show up and play the first match. If it does not go well then somewhere in the match you make the decision to lose big (above the Asian spread on the game). This way the team makes money losing the game and it ends up in a tournament that they have a better chance of winning. To be clear, this is not to suggest that FC Astana of Kazakhstan engaged in such behaviour in their 5 – 0 loss to Glasgow Celtic. However, it is to say that the second leg of the play-off round to be played on August 22nd, is a match that UEFA should focus on with laser-like intensity. https://www.outsideonline.com/ 1927876/if-we-want-end-doping-cycling-astana-must-go – https://www.cyclingweekly.com/news/latest-news/astanas-uneasy-ride-professional-peloton-139345). The sporting organizations are officially linked together under the same club name. Again this is not to suggest that Astana football club followed the dubious path of the cycling officials or that the sponsors in anyway encouraged doping but it is to say that there is a sports business atmosphere in Kazakhstan that does not encourage confidence. Regarding the collection of information, union representatives found organizing personal meetings with players the most difficult stage. The clubs also intervened and disrupted the process of completing the questionnaires. In Kazakh football, clubs can do nothing without the Federation`s (Football Federation of Kazakhstan – FFK) permission. Problems arose when FFK ignored the unionʼs letters. Clearly, FFK ordered all clubs to disturb the process of the project. As a result, meetings with players had to be organized secretly. Players were really helpful in this regard. There are many problems but no major areas of concern were identified because all (clubs, players, agents) are afraid of FFK. Some of the cases were prepared for the Black Book, but players requested their stories were not published. FIFPro Black Book Eastern Europe: The problems professional footballers encounter: research, p. 66. It is little wonder that the players were so frightened. In the same survey, FIFPro also found that almost 28% of the players claimed to have been victims of violence and more than half of those players had been attacked by their own club officials! All in all, then Kazakhstan has a stained reputation in sports integrity. If UEFA wants to ensure that the credibility of Champions League does not suffer it should monitor the upcoming game very, very, very closely. Poorly written, poorly researched nonsense which tells us precisely nothing. Why not use your skills and investigative mind to expose the real corruption in Scottish football, financial doping and tax evasion on an industrial scale by Rangers (IL) and the ongoing efforts of the Scottish Football authorities to cover it up? This is one of the most ill thought out articles I’ve ever read. Rangers are deid, Sevco are zombies. GIRUY. In all seriousness, please look into the continued cover up of child abuse in Scottish football. It is hidden in open site and is a massive scandal that needs to be uncovered for the multiple victims to be given justice. All the information is there is court records, newspaper articles and written correspondence. Even the financial records of certain clubs have notable links to organisations entrenched in child abuse. Journalists in Scotland have been burying this story for decades and it will take someone on the outside to take and interest into this scandal. Please take the time to investigate. Steve you should take these accusations to the proper authorities along with any evidence you have. You shouldn’t lay in bed at night worrying about this, you’ll make yourself ill. If you’ve been a victim, there’s lots of places to go for help, please seek it urgently. 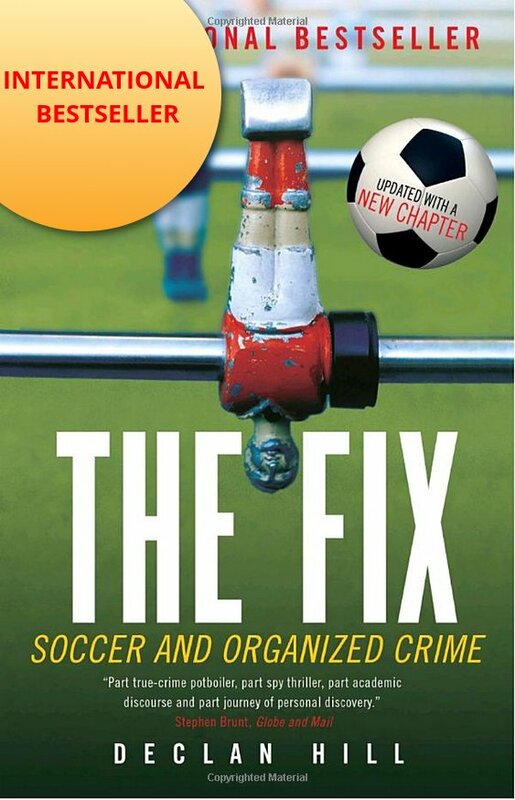 The article starts out by saying “Ninety percent of match-fixing in football is easy to prevent” but does not describe how. Based on the article I presume the answer would be to design tournaments so that all teams at all times have something important at stake? But how can that be done? Also, I dont understand this “This way the team makes money losing the game”. Because they go on to play in Europa League (where the money is very small compared to CL)? Or because they bet on themselves loosing (why would they otherwise need to loose big)? And it says “If it does not go well then somewhere in the match you make the decision to lose big” but then the article talks about the return match of Celtic-Astana – not the first match? And it seems that match-fixing for sporting and betting purposes is mixed together in the article?